September | 2009 | my bike. my city. my mission. Oh snap, I think I found my bike. It’s a beast of a ride for the price and for the components I’ll get? Put a sticker on it, I’m holding it until I figure out what to do. Seriously though, what’s the big deal on the compact gearing as opposed to the standard double gearing? Is there any advantage on that? Guess I gotta ride to find out. Now I have to find some stores that carry Jamis. I have to keep telling myself, the money you spend on this is an investment. Man that’s a grip of money though. We’ll see. Jamis’ new Xenith Endura series is intended as its answer to the Roubaix “endurance road” category. The Endura 1 is $1,925 with a full-carbon frame (BB30, tapered 1 1/8-1 1/4 steerer) and Shimano 105. The big changes from the Xenith Race series are a taller head tube, relaxed head tube angle and longer wheelbase, plus compact gearing. it’s that simple. it’s non-intrusive to the surrounding community and it gives pedestrians options of how they may want to travel.now THIS is a bike lane : definitely check out the video and the article about a SICK evolution in New York City and what they did from a very populated cycling community. it’s great to see but what i personally get a kick out of is how happy people are about with the change. drivers will be happier because they don’t have to cautiously/wrecklessly share the road with the cyclers but also it’s safer for the riders themselves.safety. convenience. respect. – truly awesome what they accomplished.who woulda thought that i’d find the Mother Nature Network on twitter? 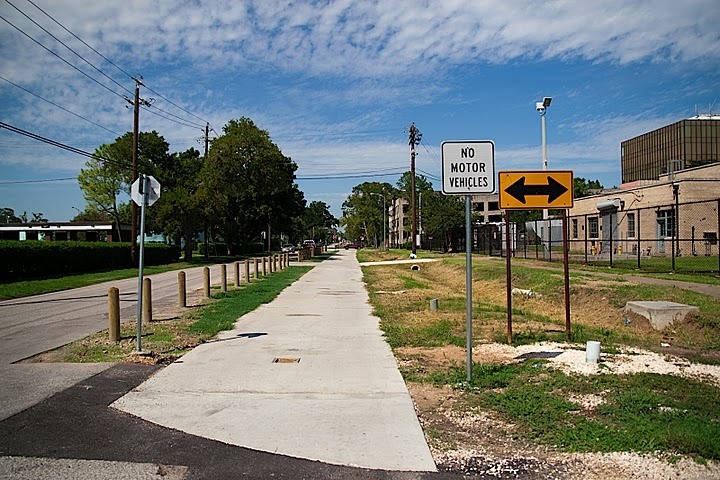 !——-so for Houston, this is what i see…it’s the Nicholson/Heights Bike Trail. 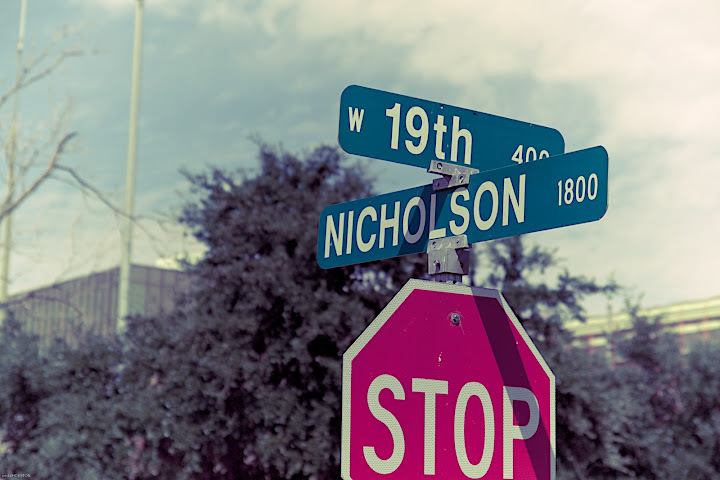 the trail runs from 26th st to 7th st on nicholson where it then diverges. 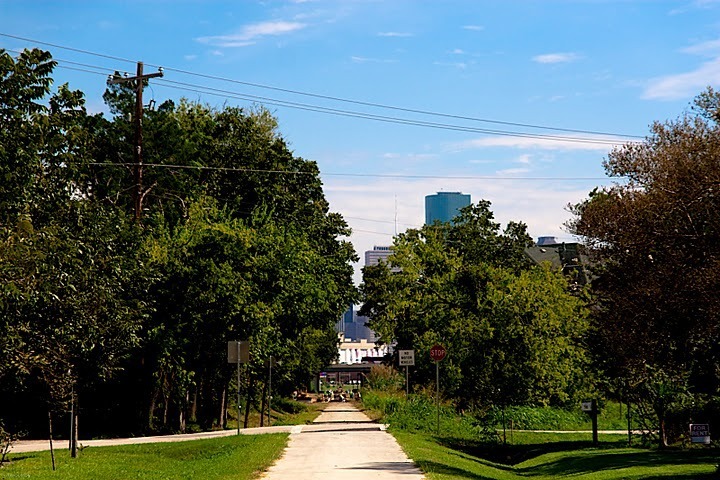 the trail then continues towards the heights blvd and passes through a neighborhood then proceeds to go into downtown Houston. when i first saw the trail, it wasn’t the most appealing but what do you expect while it’s still being worked on? but i see a major potential for casual riders. it’s going to definitely be a shared path with walkers/runners/pedestrians alike but what i like is that it connects the community in the Heights district to that into the downtown. 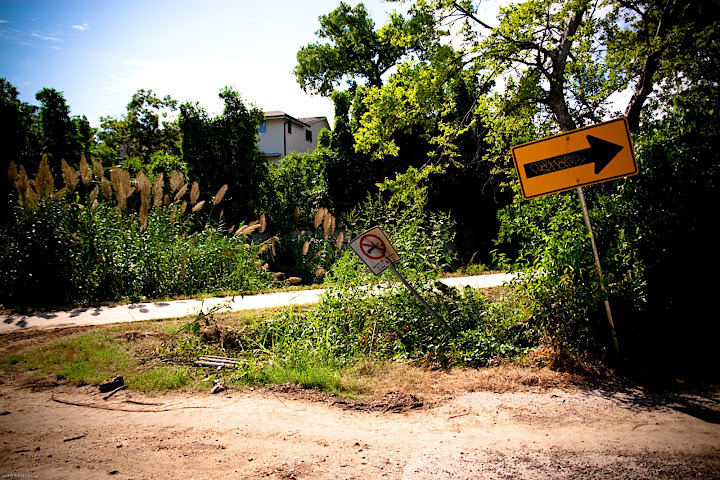 what’s cool about this trail is that it takes you through all the types of neighborhoods in the Heights. you see the plush, high end houses but you also go through the middle class area also. it’s a journey and it’s refreshing. it kinda rekindled my faith in what Houston has to offer as a city. i envision how cool the trail would be on the weekends, especially in the mornings with people doing their runs/rides. it’ll be cool to see a buncha bistros/cafe open along the trail to promote people to stop in for a drink or a bite also. possibilities are endless. i wonder who will pounce on it. the picture above is where the trail is up to so far. it has major hopes of a fantastic view of the city as you leave the Heights area. 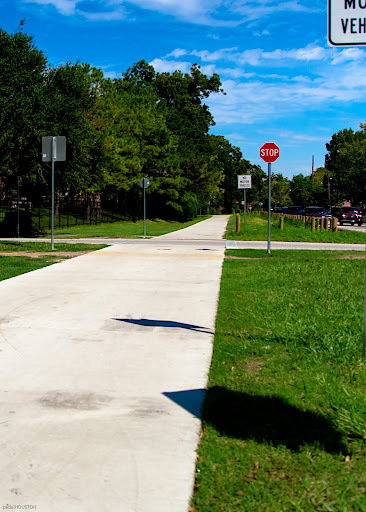 this trail used to be an old railroad track and it’s great to see recreational and functional use of an obsolete route that can bring Houston to be come a great commuter inner city type community. wouldn’t that be ridiculous?! also, the trail is adjacent to a pretty retro vibe bike shop, blue line bike lab on white oak blvd. they got some whimsical bikes but also some great used and new bikes inside to check out. this is where the train stops. props to the construction guys and the manager in charge of this project. 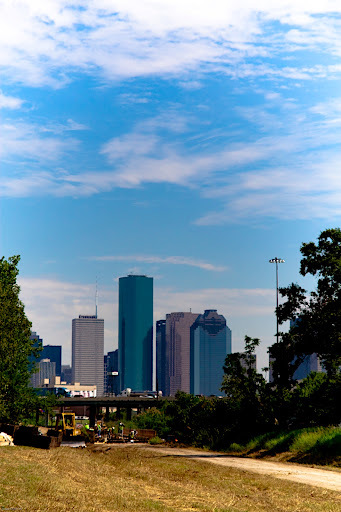 it may not seem like the biggest and baddest project for them (coming from an engineer’s perspective) but it’s gonna revolutionize the way we pedal around Houston. This is a cool event happening right in my backyard, this Sunday. 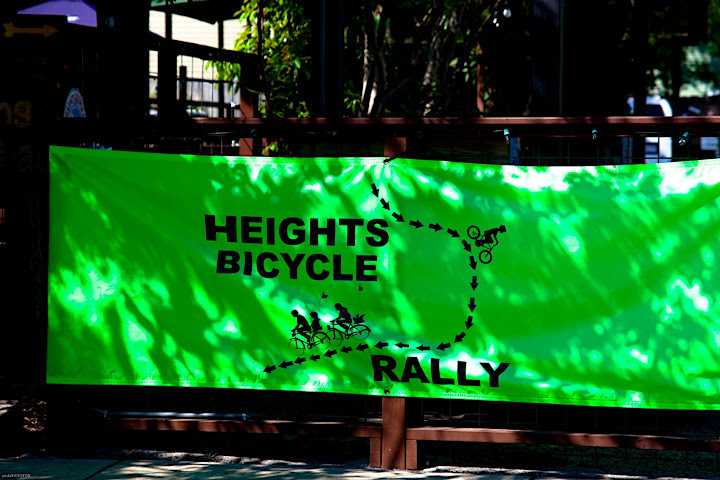 This is the 4th Annual Heights Bicycle Rally and Scavenger Hunt on Sunday, October 4th from 7:30am to 4:00pm. For all the people that aren’t up for cranking 50miles, this’ll be a great day spent on your bike just touring around the Heights. You’ll definitely see things that you wouldn’t through your car window. There are a lot of great things you’ll appreciate being on your bike. Who knows?! Maybe I’ll be out there too. Do a wavey if you see me. If there weather is anything like it is today, it’ll be a fun experience. Bring the kids, the pets, the friends, the family or just bring yourself. Pedal out while the weather is nice like this. Also, it’s the weekend of Biketoberfest being hosted by Blue Lane Bike. Beers, bikes and bands in their parking lot and also I’m sure a couple of the restaurants and bars around the area are throwing a couple event parties as well to help support the weekend biking events. it’s that simple. 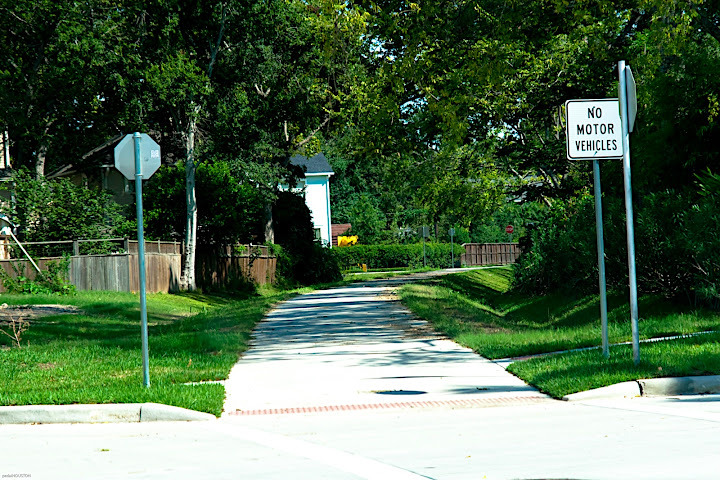 it’s non-intrusive to the surrounding community and it gives pedestrians options of how they may want to travel. now THIS is a bike lane : definitely check out the video and the article about a SICK evolution in New York City and what they did from a very populated cycling community. it’s great to see but what i personally get a kick out of is how happy people are about with the change. drivers will be happier because they don’t have to cautiously/wrecklessly share the road with the cyclers but also it’s safer for the riders themselves. safety. convenience. respect. – truly awesome what they accomplished. who woulda thought that i’d find the Mother Nature Network on twitter?! 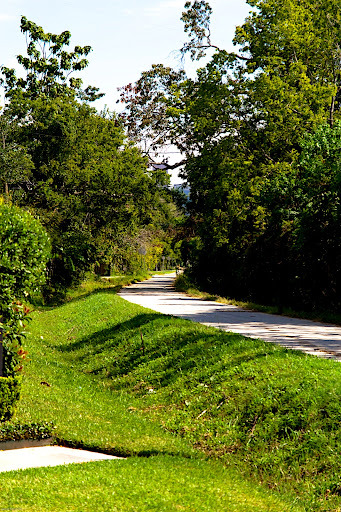 it’s the Nicholson/Heights Bike Trail. the trail runs from 26th st to 7th st on nicholson where it then diverges. the trail then continues towards the heights blvd and passes through a neighborhood then proceeds to go into downtown Houston. 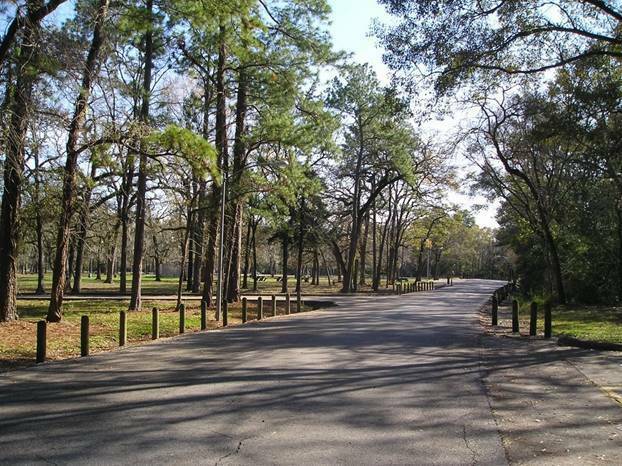 after riding last week around the famous picnic loop at memorial park in houston, i sorta realized how important it is to be efficient while riding. sure, i don’t have the greatest bike right now but it doesn’t mean that you can’t make it work or build up your endurance. thanks to some tips over speeding up my cadence at a lower speed in lieu of increasing the resistance by shifting into a higher gear which was causing a lot of my fatigue to keep up with the pace. personally, i always thought that it would be beneficial to conserve more energy by having a slower cadence at a higher resistance. mentally it felt like i didn’t have to use as much energy but at the same time when i would watch my speedometer, that i would be gradually be losing some speed so i’d start to pedal while standing up.is it good to stand up while pedaling your bike when you’re not even on an incline to catch up to the speed you were at? i don’t think that’s too smart on my part. hey, it’s the things i’m learning as i grow more interesting in this sport.so the past week, i’ve been pedaling at a higher cadence at a mid-range speed on my bike. (someone help me if i’m clobbering the bike terminology) i’ve noticed that as i get used to pedaling faster, that my heart rate has also benefit from it. i feel like i can sustain a lot longer than i used to and i don’t “burnt out” so easily. it’s also seemed to help me out when i go jogging also. i’ll get to that on another post but i understand how beneficial it is to cross train now. just like stocks, life, investments – it’s great to diversify your portfolio. it can build strength and stability but also if prevents you from going weak if one area gets saturated.i’m thinking of doing a duathlon. everyone is scared of coming in last. that’s what i think about when i think about doing this. then i have to think about all the people who are still sleeping while i’m out running/riding for my life. we’ll see.